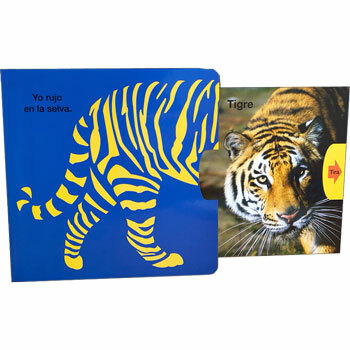 A fun pull-the-tab board book in Spanish to help children to learn the name of different animals through riddles and clues. The book invites youngsters to identify different animals from an outline drawing and a simple clue; an you guess which animal is being described? Pull out the sliding panel to check your answer along with a colour photograph. 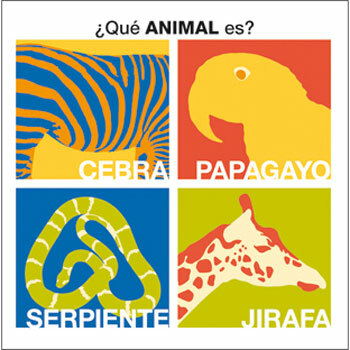 ¿Qué animal es? is written entirely in Spanish as it is aimed at native Spanish speakers. It is published in Spain so uses Castilian (European) Spanish.